Most of the time when you purchase a clematis, you have purchased an already established plant that has good root and leaf structure. However, you could also try propagating clematis with cuttings. 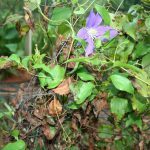 Let’s look at how to propagate clematis from cuttings. The best way to grow clematis is from clematis cuttings. Cuttings are the easiest way to perform clematis propagation. Start propagating clematis by taking clematis cuttings for clematis propagation from your healthy clematis in early summer. You will want to take half green wood cuttings; in other words, cuttings that have just started to become hard (brown) wood. Treat them with a special rooting hormone to help them root and place the clematis cuttings in sterile soil. Be aware, when you purchase your roots at the local garden center, you will find that they are usually grafted roots. This makes them stronger and helps them root easier. You can, however, still get good results from your own clematis cuttings. The clematis cuttings may take anywhere from one to two months to take root. While they are rooting, keep the cuttings in high humidity and bright but indirect light. Once the clematis is rooted, you will want to make sure to maintain soil contact around the roots. First be sure to amend the soil so that it will support the new clematis propagation. Then once fully rooted, cut the stems back to only 12 inches in height. 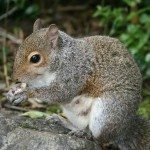 This will help the plant branch out and climb up a trellis or fence. 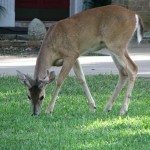 Put the crown a couple of inches below the soil surface so that it can be well prepared should it accidentally be cut back or mowed over. Be sure you apply fertilizer annually. Rooted clematis cuttings also love rotted manure. Manure makes them healthy and happy. You can use this as mulch if you want. The vines of your clematis need a lot of sunlight but the roots need to stay in the cool, damp soil. 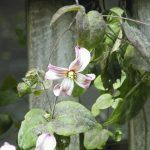 Propagating clematis is done easily enough and before you know it, you could have several different clematis plants growing throughout your property. Clematis propagation is easy enough and you end up with flowers and plenty of new plants each season. Read more articles about Clematis.